$739.00 This may be in stock for quick delivery; please call! The Bach TR300H2 Bb trumpet was designed by the legendary craftsman specifically for student use. Vincent Bach combined his unique talents as both an accomplished musician and a talented engineer to create brass instruments of unequalled tonal quality. Often copied but never duplicated, Bach instruments today remain the sound choice of students and artists worldwide. 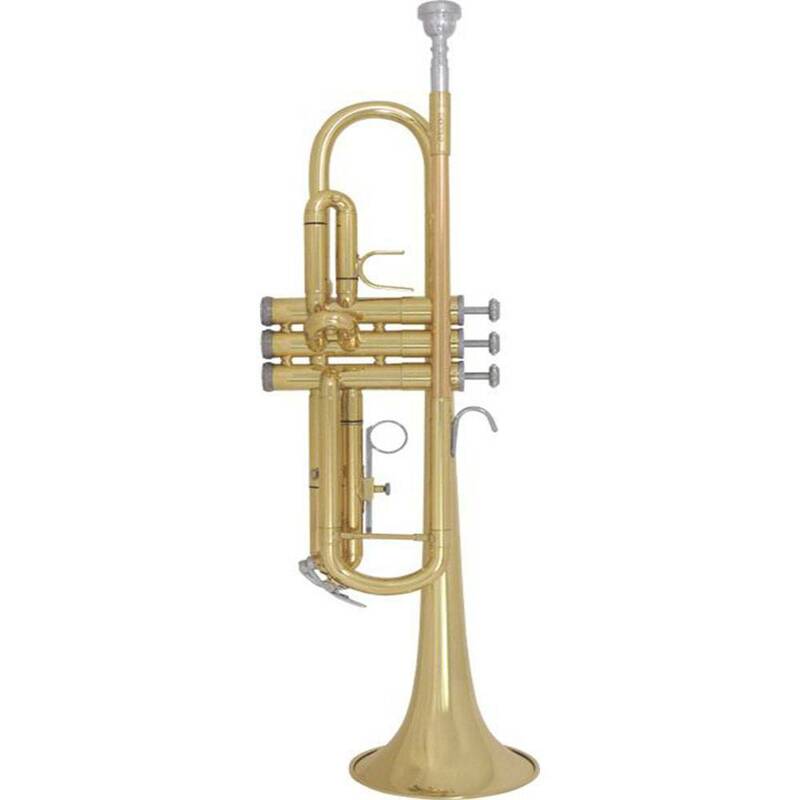 The Bach TR300H2 Bb trumpet was designed by the legendary craftsman specifically for student use. The combination of unique specifications and acoustic design promote quick development and meet the demanding needs of today's young The Bach TR300H2 Bb Trumpet is made in the USA using nothing but the highest quality materials. It offers a .459" bore with a responsive 4-7/8" seamless bell for easy projection and control. The 1st valve thumb saddle makes for easy intonation adjustments. The clear lacquer finish provides a subtle warmth to the overall sound. The TR300H2 is a well designed durable instrument perfect for the beginning student and is well suited for all types of music. Bach USA - 459" bore, red brass leadpipe, seamless yellow brass bell, 1st slide thumb hook, stainless steel pistons, adjustable 3rd slide ring, clear lacquer finish, Bach 7C mouthpiece, 50915 molded case. Available in clear lacquer finish as model TR300H2S.